Some flowers simply defy explanation. Take for instance the ephemeral beauty of the Lamprocapnos. 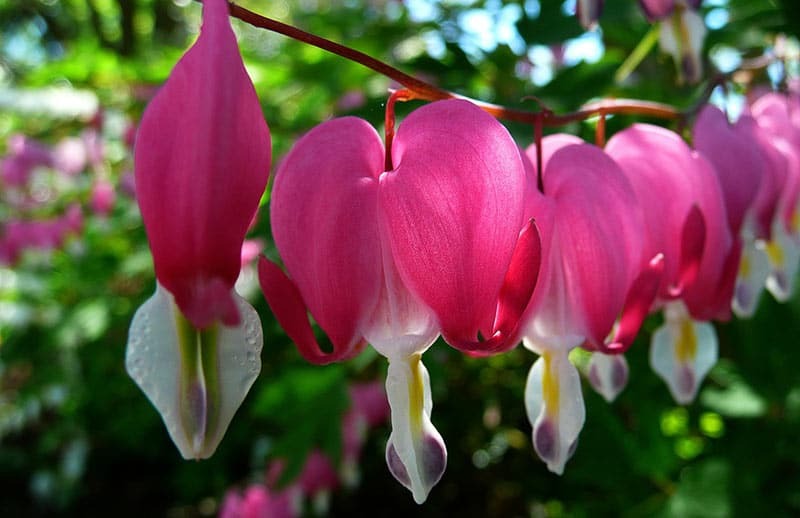 Many also call it the bleeding heart due to its pink heart-shaped flowers with a protruding tip that, on the vine, resembles a series of bleeding hearts dangling on a line. Surprisingly, though, these lovely blooms are just the flower buds and have yet to open fully. When they do fully bloom, the flower heart seemingly breaks open and reveals an inner white flower. Being an ephemeral, this perennial enters a dormant period during summer, so its one-of-a-kind flower buds are short-lived. Fortunately, the bleeding flower heart continuously forms blossoms, so you’ll often have its graceful buds in view. What’s especially enjoyable, though is that, you don’t have to resign yourself with enjoying the Lamprocapnos in the wild since you can grow them yourself! 9. Keep The Pots Cool And In Deep Shade For One Month. 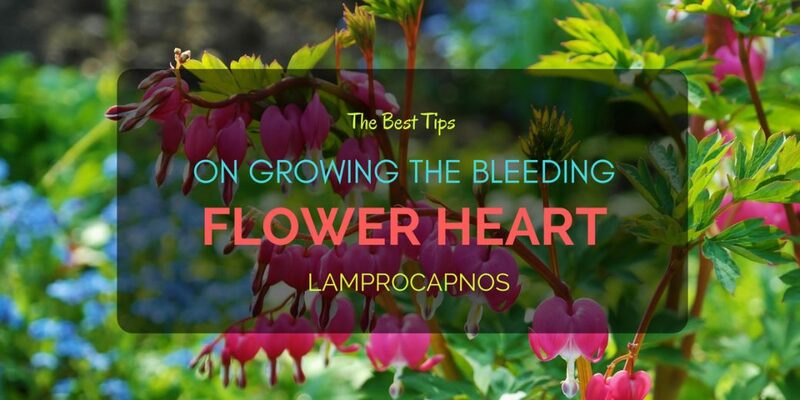 Heed this essential tips and steps so you can start growing and enjoying your very own Bleeding flower hearts at home! Before we get those seeds going, let’s look into the native habitat of the Lamprocapnos. The Bleeding heart naturally grows in Japan, northern Chine, and Siberia. What do all these regions have in common? These means that the Lamprocapnos will thrive in the cold lower temperatures and is especially important during seed germination. 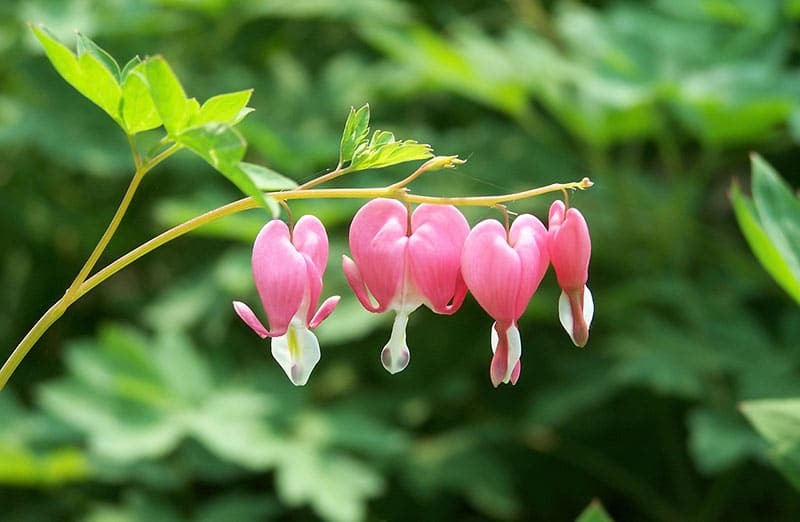 So, once you establish a bleeding heart plant, ensure that it’s in an area with a temperature of 65°F (18°C) at most! Lamprocapnos do not respond well with water-logged soil. Hence, improve bloom numbers by keeping the soil moist. Also, ensure that you avoidoverwatering during winter or let the ground dry up during summer. The amount of sunlight that your Bleeding Heart plant needs will depend on the local climate. For instance, if you will keep the plant in a cooler area with temperatures below 60°F (15.5°F), then your bleeding heart will benefit from full sun exposure. On the other hand, if you’re growing the plant in higher warmer temperatures, then it would be wise to give the bleeding heart dappled sunshine or even full shade. A Lamprocapnos typically enters a resting period after blooming in spring and summer. So, you don’t have worry about the plant’s health as it will usually stay dormant only until the next spring. Then, the showy pink flowers will greet you once more! 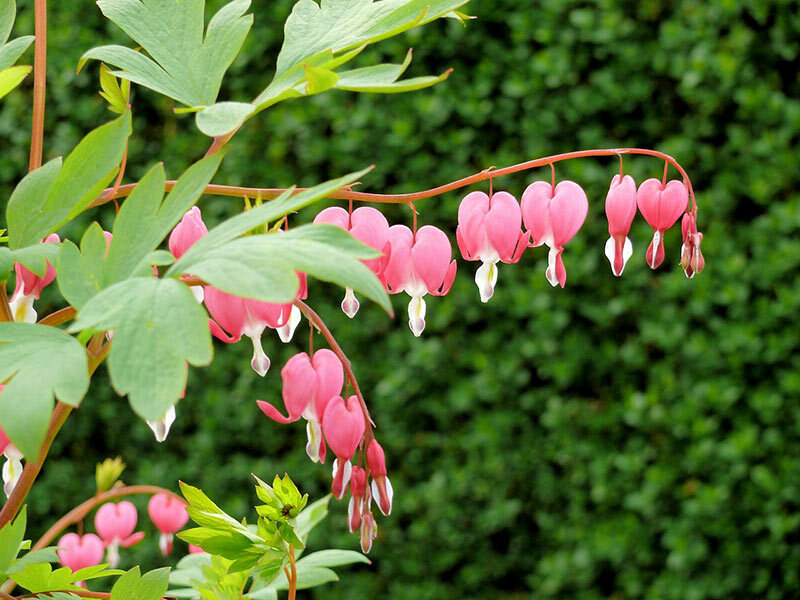 However, you can choose to plant the bleeding heart with late-growing perennials to fill the gap it leaves during its dormant stage. No, not hummus, but rather a richsoil mix with a lot of peat moss, and humus. This medium mix will improve the soils ability to retain water which is vital if you’re growing bleeding hearts in warmer climates. First, soak the bleeding heart seeds for an entire day. Afterward, place the pre-soaked seeds in a Ziploc bag and then mix in some peat moss until you cover the seeds completely. Store the Ziploc bag in your refrigerator with a minimum temperature of 40°F (4°C) for the next six weeks. Fill a potwith every seed you have with a 1:1 ratio of peat moss and perlite. Then, take the seeds out of your fridge and then plant about a¼ inch deep into the peat moss mix. Always ensure that the soil freely drains the water and does not get soggy. Experts recommend enclosing the pot with cling-wrap then storing the pots on a windowsill facing the western or southern sun. However, avoid direct sunlight while always keeping them under a shade. Also, you should keep their ambient temperature around 55°F (12.8°C) for the next 5 to 7 weeks. During the entire germination period, you will need to regularly mist and water the pots. Hence, you should remove the cling wrap over the pots, water, then cover again with the cling wrap. This process maintains the humidity and moisture that your seeds need during germination. You’ll have to transplant your bleeding heart when its seeds sprout roots and turn into seedlings. This time, you should use a pot that’s twice as big but with the same medium mix of peat moss and perlite. Ensure that you cover the seedling’s roots with this combination. At this stage, the young Lamprocapnos will benefit from full shade to dappled sunshine. Dilute a half an ounce of liquid fertilizer appropriate for immature Lamprocapnos with four quarts of water and pour into a spray bottle. Afterward, mist the plant with this solution until young leaves begin to form. Ensure that the soil mix stays moist but not soggy. For a healthy bleeding heart plant that continuous to bloom, remember to prune the plant's main stem when its flowers fall or wither.